You won’t find me in the kitchen every day but I tend to make more appearances during the Fall. It might be because the weather is crisp and I want the house to feel a little warmer and homier. A delicious dinner can accomplish both. 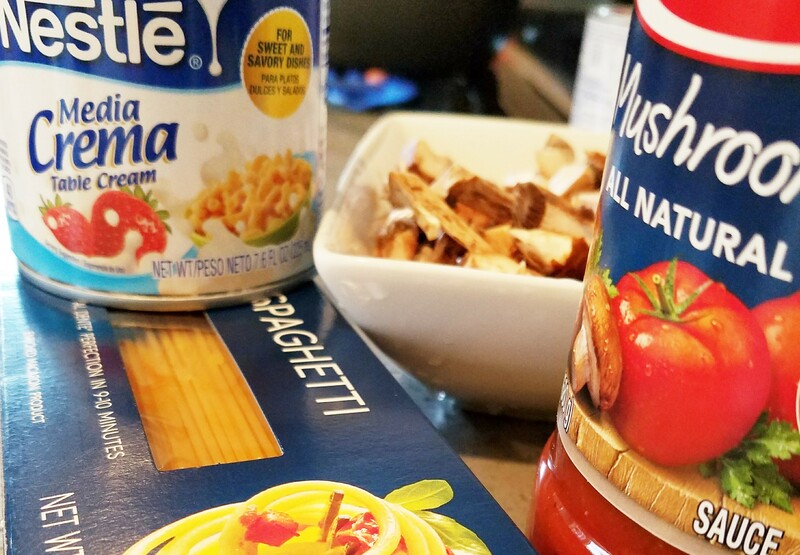 For me, it’s a deliciously easy dinner that both the adults and kids can enjoy. Today, Ji was craving spaghetti, but it just didn’t feel Fallish to me. 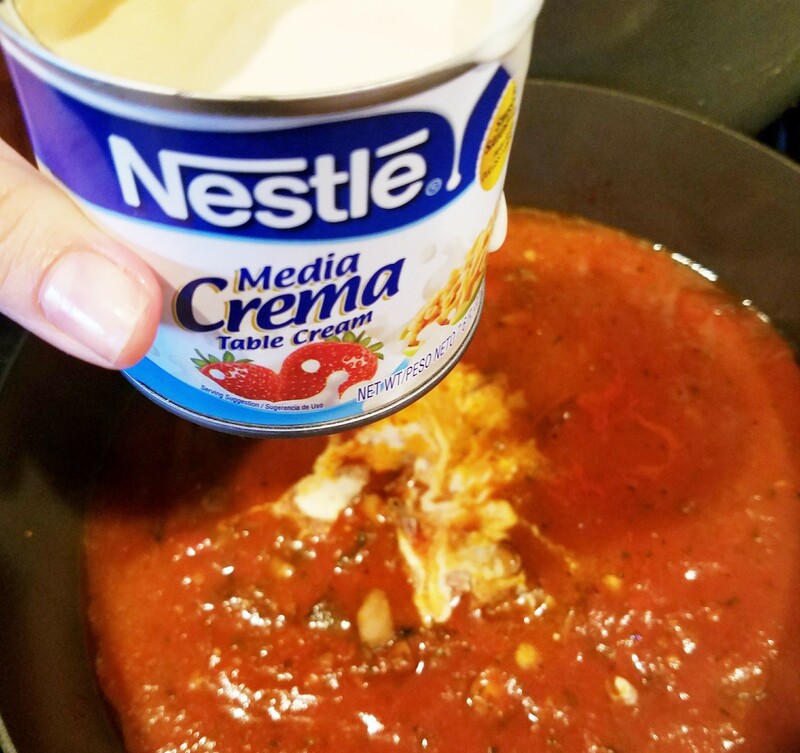 So I added, Media Crema to give it a creamy taste. It was so good! 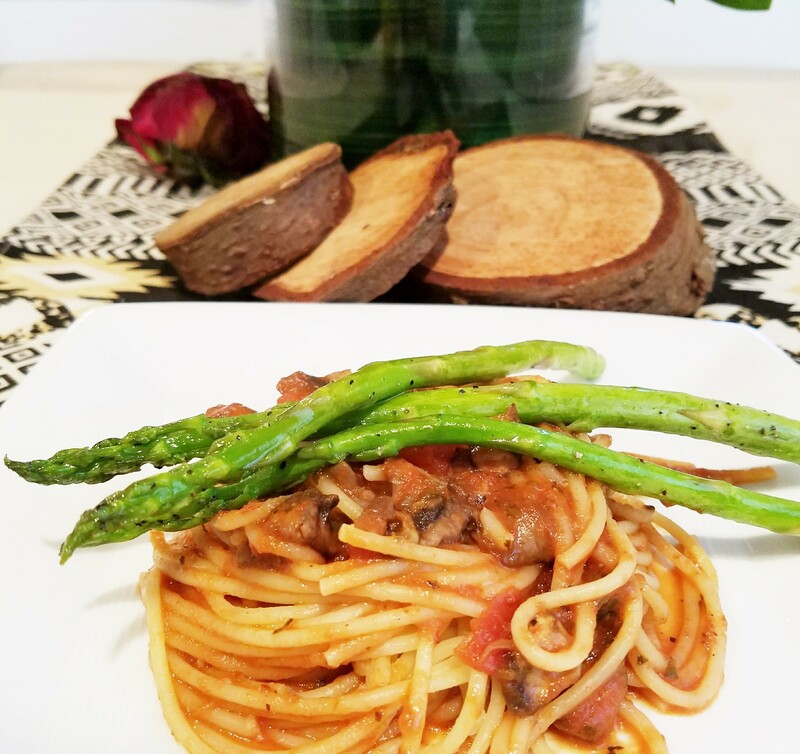 I decided to add mushrooms to my sauce because it packs on much-needed protein for a vegetarian meal. 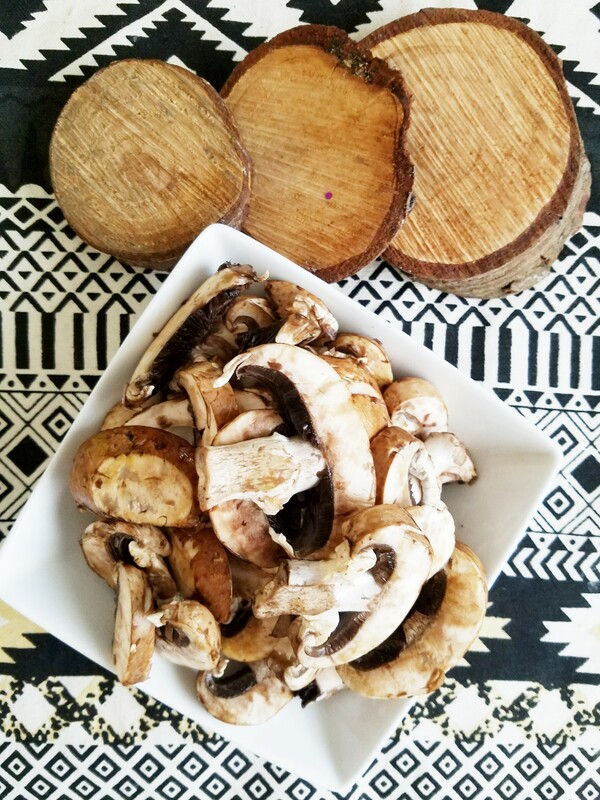 I chopped up my mushrooms into small pieces, seasoned them and sauteed them with a spoonful of olive oil. I then added my sauce to the mushrooms, added one can of Nestle’s media crema and covered the pan. I let it simmer for 10 minutes. This was the same amount of time I cooked my pasta for. I love the al dente style. 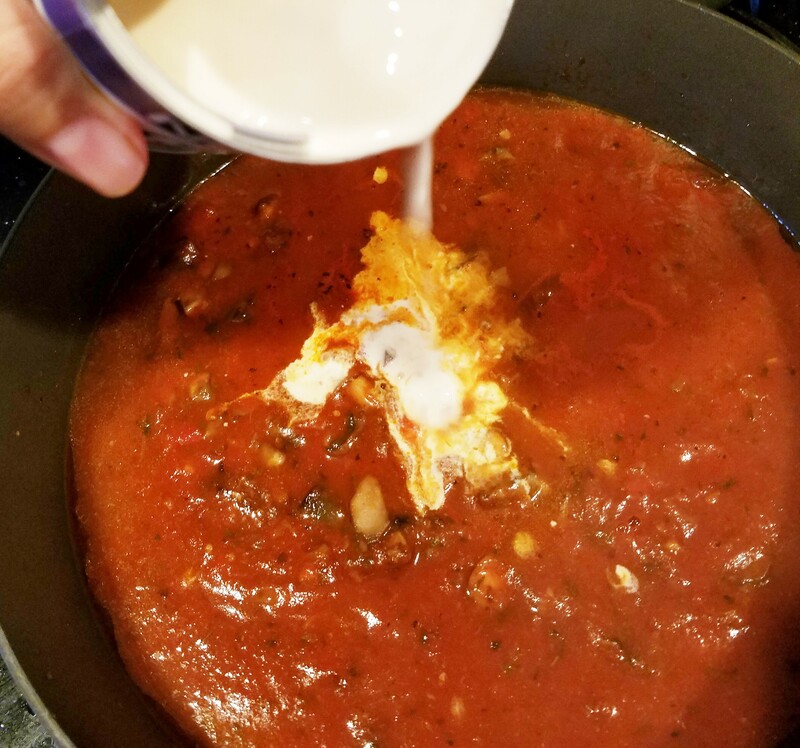 Once the pasta was cooked, I poured about 1/2 a cup of the pasta water to my sauce to “marry” the flavors. Top it with a green veggie of your choice or a side salad and you have an easy, delicious meal! 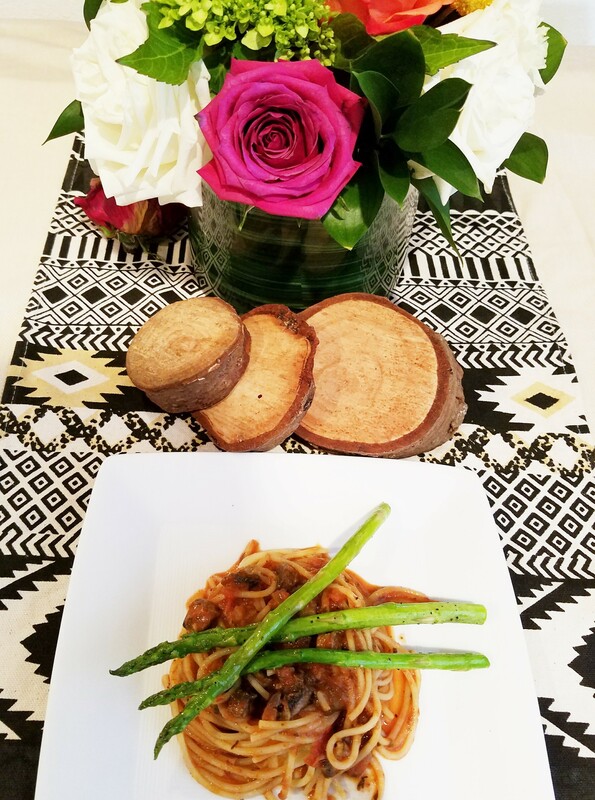 If your kids are not big on veggies, chop the mushrooms into even smaller pieces and mix with the sauce. You’ll be surprised how good the media crema made this pasta recipe. They’ll love the creamy flavor. So, next time you are in the grocery grab as many cans as you can! It does not spoil and does not need to be refrigerated. You’ll need the following to make this creamy pasta recipe.